The latest and advanced Google Assistant is said to be an essential element of the messaging app Allo, of the company together with the flagship Pixel and Pixel XL smartphone which runs on Android 7.1 Nougat. Being limited to Pixel launcher on the new smartphones of Google, one is unable to officially replace Google Now with Google Assistant on Android smartphone. 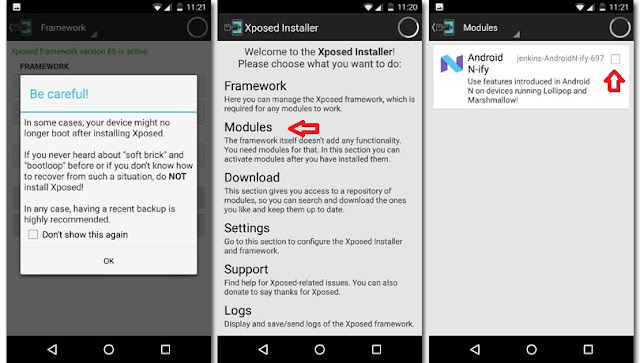 You can download the Xposed framework flashable file and APK. Drop these files in the root directory or in a new folder on microSD card or internal storage. Then turn off the smartphone, reboot for recovery and flash the zip installer. With the smartphone on, utilise file manager in locating the Xposed APK file and install the same. The user may need to check `Unknown Sources in Settings’ followed by Security in order to install the APK file. The AndroidN-ifty APK file is to be downloaded and installed and then begins the real game. The user needs to be careful and follow the instructions. On opening the Xposed app, tap on the modules and check the AndroidN-ify box. Open Root Explorer and find out if the system has been mounted as R/W (read or write) and tap on System then press and hold `build prop’. Then utilise the three dots menu button towards the right area in order to open in text editor. Thereafter search for a line known as ro.product.model and this model number would be the name of your device such as the Galaxy S7, OnePlus 3, and LG G5 etc. You may need to create a file if there is no such file like ro.product.model=Pixel XL. Here OS has been faked presuming that the device is Pixel XL. When this is done, go to the last line, creating a new one which reads - `ro.opa.eligible_device_true’ and then save it. Here OS is allowed to know that the device is qualified for Google Assistant. On rebooting the device, confirm if the new model number has been accepted and to get to know this you could go to Settings > About Phone. Ensure that you have the updated Google App beta installed. The go to Settings > Apps > Google App > Storage > clear All Data. When all this is accomplished, open Google App and setup Google Assistant and when it is setup, you could invoke it on holding the `Home’ button for a couple of seconds or by saying `OK Google’. The new intelligent conversational virtual assistant – Google Assistant is only available officially for new Pixel phone. But with some tweaking one could get it together with all Assistant’s great search and chat features on any Android Marshmallow or higher. Why Choose NIFT For a Career in Design?